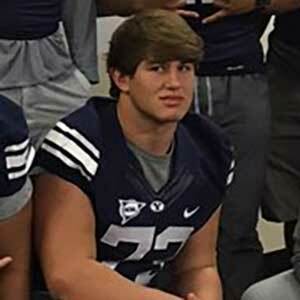 Caden Haws is a 6’2” 292 pound center that committed today to play for the BYU football team (Class of 2016). Haws preps at Pulaski Academy, where he started all 40 games from 2013-15. As a sophomore he was named a Super Sophomore, All-Arkansas Sophomore first-team, and All-Conference. As a junior his team won the 5A state title and Haws was named to the All-Arkansas second team. Pulaski repeated as state champs in 2015 and Haws was named to the USA Today All-Arkansas team, All-Arkansas First-Team, and was voted team MVP by his coaches. While highlight reels for centers aren’t usually too exciting, Haws has a nasty streak and his HUDL reel (shown below) is worth checking out. Haws is rated 2-stars by Rivals and is not rated by Scout or ESPN. He holds scholarship offers from Air Force, Army, BYU, and Navy and was also recruited by Arkansas, Arkansas State, Missouri, Nebraska, Utah, and Yale. Haws committed to the Cougars on January 24, 2016. Last Team: Pulaski Academy HT/WT: 6’2”, 292 lbs. Profiles: MaxPreps, HUDL Bench/Squat: 345/625 lbs.